After relying on my Slow Cooker for three months, once I got my oven back, I rather neglected the Slow Cooker. However, today I was getting my hair coloured and cut, plus doing a few bits of shopping in town, which meant I would be out from 10am until about 3.30pm. This is when the Slow Cooker really comes into it's own. 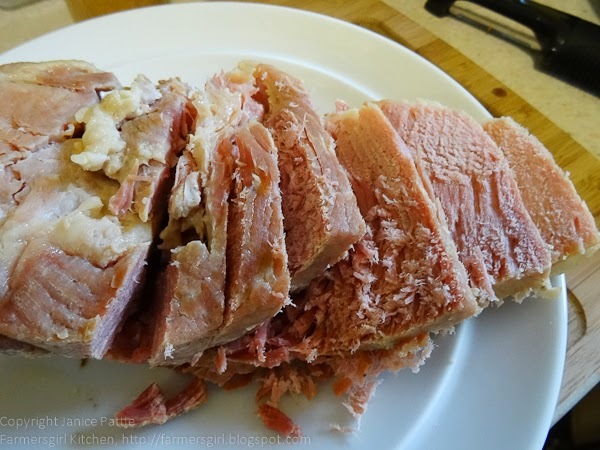 Slow Cookers are brilliant for cooking gammon joints, the slow cooking makes the ham really tender and it's such a simple dish to make. 1. 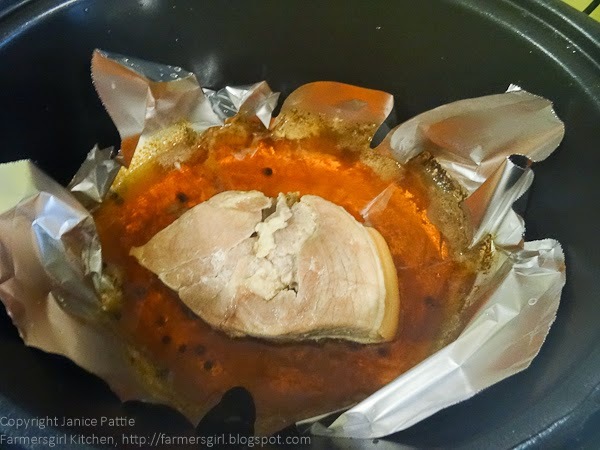 Place a piece of foil in the bottom of your slow cooker, this will help you lift the ham out when it is cooked. 2. Place the ham in the slow cooker and add the peppercorns. 3. 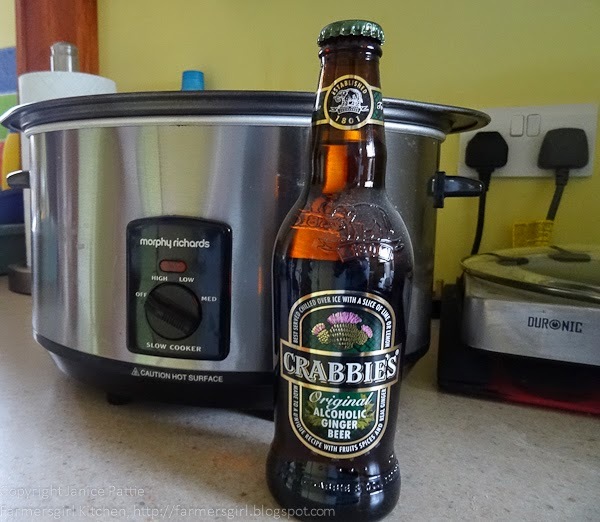 Pour over the bottle of Crabbies Alcoholic Ginger Beer. 4. Mix the honey with the boiling water and pour over the ham. 5. Place the lid on the slow cooker and cook on Low for 8-10 hours or on HIGH for 5-6 hours. 6. When the cooking time is up, lift the ham from the cooker and drain before slicing. 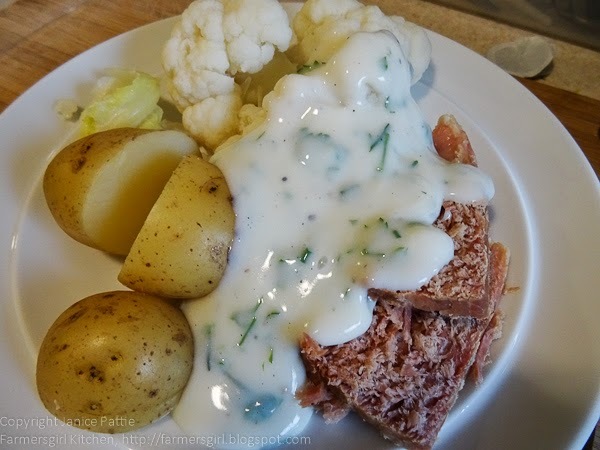 If you use twitter, tweet your post with @FarmersgirlCook and #SlowCookerChallenge and I will re-tweet it to my followers AND post your post your pictures on a dedicated Pinterest board.